Imp-Exp Executive Magazine was founded in 1988 and this foreign trade business magazine published in both domestic and overseas market. Imp-Exp Executive Magazine is an internationally published Chinese business magazine which focuses on international/foreign trade. Imp-Exp showcases the international market, cutting-edge business trends and popular business strategies. Imp-Exp has become the predominant business magazine focused on international trading and occupies audiences from China’s top business management. Being regarded as high quality, professional and authoritative media, we publish 150,000 copies per month and have attracted over 1,350,000 Import and Export Executives becoming our loyal readers. Undeniable, China has already become world manufacturing factory which significantly speed up the development of China foreign trade service industry. 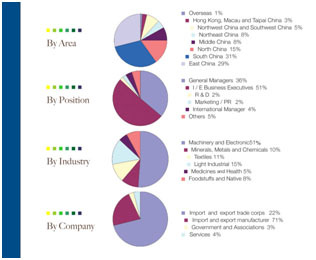 In order to standardize the enterprise's competition, help foreign trade service enterprise to brand, and introduce high quality service providers to foreign trade enterprises, Imp-Exp Executive magazine has kept eyes on China foreign trade for many years and will continually investigate and evaluate China foreign trade service. It can be seen that, if trade services providers would like to gain the import and export enterprise’s reorganization and further set up their loyalty, they must establish “win-win” service to benefit both Imp-Exp enterprises and themselves. Imp-Exp Executive magazine pays close attention to the changes of world trade fair as well. Screened and evaluated from over 10,000 large and middle scale trade shows, we finally released “Global Top 100 trade shows” list in 2015 where it recommends the most valuable shows to all foreign trade firms which is also known as the first one in the world. This research revived great supports from Alibaba, International Business Daily and PR Newswire. Moreover, in recent years, more and more Export enterprises participated in the world's the trade shows, and China already became one of the biggest participation countries in each big trade fair. Global Top 100 trade shows will definitely play a vital role in choosing exhibitions for Imp-Exp enterprise. In 2016, Imp-Exp Executive magazine will continue to research and issue Global Top 100 trade shows. Participating international trade shows is the best way to enter the world market. In the magazine's readers, 92% of the readers participate in various trade fairs, 28% of readers participate in oversea exhibitions more than 5 times a year. 38% of readers schedule a special trip to visit oversea trade shows and their business clients every year. Sail by Exhibition is the main parts of the magazine. The main contents are recommending the best trade shows in the world and work as a bridge between exhibition and exhibitor. Meanwhile, Sail by Exhibition is published by E-newsletter for all exhibitors. 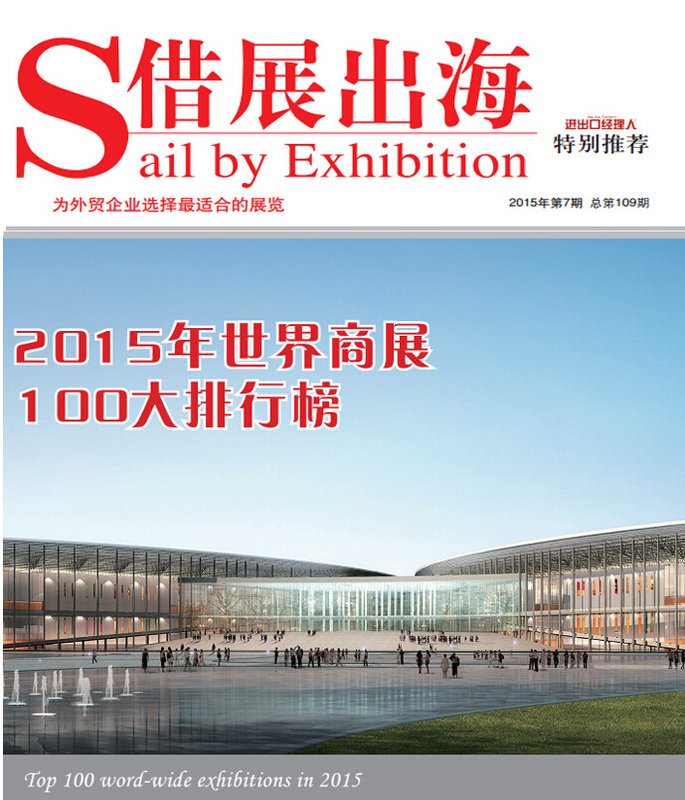 Sail by exhibition has a powerful influence in Chinese exporters. ©2005-2012 Imp-Exp Executive All rights reserved.